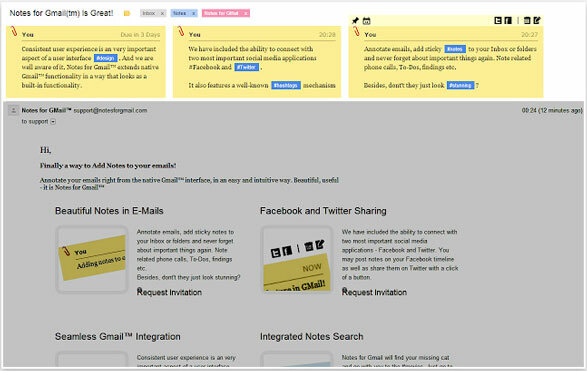 Notes for Gmail, as the name implies, simply lets you add notes to email threads in your inbox. 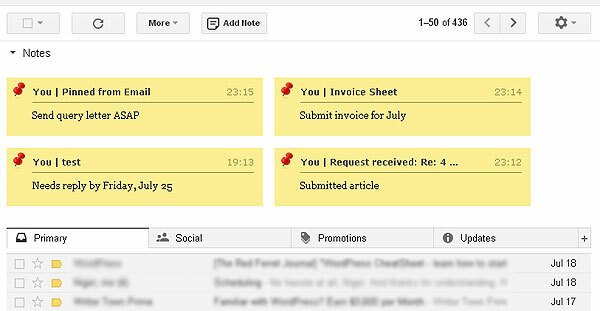 You can add as many notes as you like, and you can choose to pin them on the email body or on top of your inbox. Notes can be deleted, edited or shared to Twitter and Facebook. You can also add a reminder for each note using a built in timer. Once a reminder is added, you’ll get an indicator on top of the note to remind you of the deadline (i.e, “Due in 2 Days”). 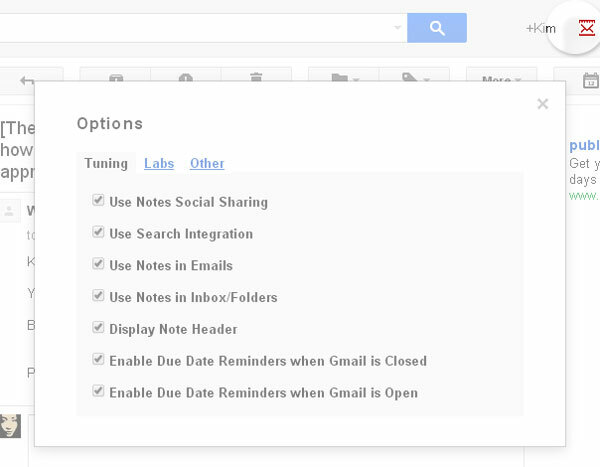 These reminders are active even when you have Gmail closed, and will still set off as long as the Chrome browser is open. To enable or disable the features, you can go to the extension’s settings page by clicking on the small Gmail icon on the top right corner of the screen. Kim Barloso – who has written 21 posts on The Red Ferret Journal.